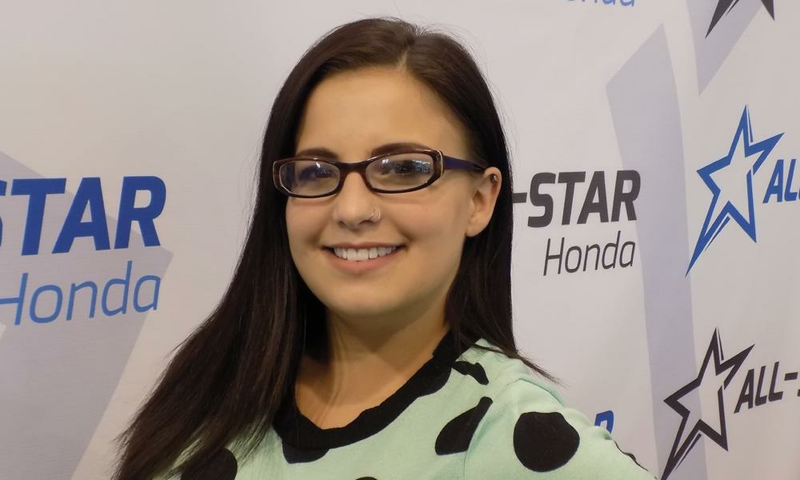 All-Star Honda's Featured Employee of the Month for August is Aeriel Thompson. She is originally from Kenosha, Wisconsin. Aeriel was never into the auto industry prior to her job at All-Star but she likes a challenge and decided that she would take the leap. She is glad she did. Aeriel has been with All-Star for 2 years where she has demonstrated her All-Star team member qualifications constantly. These include being goal oriented, hardworking, and a friendly team member that goes above and beyond to make sure that customers have a great experience at All-Star Honda. As a client care representative, Aeriel's day to day responsibilities include helping customers with any information they may need regarding their vehicle purchase, scheduling appointments for the service and sales departments, calling customers to ensure that they do not have any unanswered questions, checking All-Star's inventory and making sure that vehicles that customers are inquiring about are on the lot, and proving to customers that All-Star goes above and above and beyond to help them in their hassle free car buying process. About recommending customers Aeriel said, "I would recommend customer to choose All-Star because we are not just any dealership. We are a place that you can come to and be treated like a real MVP. I have never worked for a place that goes so far out of their way to make sure that customers do not have the typical dealership experience, and that the experience they have, is a great one. Every customer is treated with VIP status".